Down on the Pharm: Will Hassan meet the same end as Washington Sniper John Allen Muhammad? Will Hassan meet the same end as Washington Sniper John Allen Muhammad? 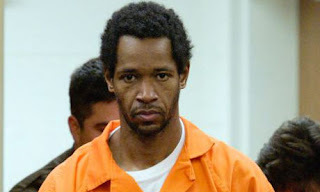 John Allen Muhammed, the Washington Sniper convicted for numerous murders, in 2002 which terrorized the DC area, met his end by lethal injection yesterday evening. There was no publicized executive consideration to stay his execution. Please comment if you find further information concerning this. It will be interesting to see how the judicial proceedings play out for Major Hasan, who is blamed for 13 deaths and 30 plus injuries at Ft Hood, TX. Will he face a similar fate at the end of the legal proceedings? Will there be executive intervention on his behalf?? While Pharmer believes that all humans should be regarded as of the same intrinsic value, there is the recognition of voluminous historical evidence that different Muslims of different classes possess Different extrinsic valuation and social status. The results of Hasan's proceedings may give further indication of this in the here and now.